Our earth loops effortlessly move thermal energy from the earth through a closed loop of environmentally-friendly refrigerant. 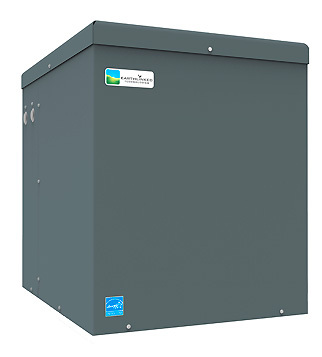 Our compressor moves the refrigerant through the earth loops and the air handler pushes the newly-heated or cooled air throughout your property’s heating and cooling distribution system. By connecting with your thermostat, our geothermal system allows you to efficiently control the temperature and humidity of your home or business. Earth loops play a primary role in the functionality of a geothermal heating and cooling pump which operates on a geo-exchange system. EarthLinked’s copper earth loops act like the arteries in a human body. Enabling geothermal energy to effortlessly move heat where it’s not needed to where it can be used or stored efficiently. The same environmentally friendly R-410a refrigerant used in nearly all conventional comfort systems is sent through the earth loops, allowing the system to directly exchange thermal energy with the earth in a continuous circuit and with the smallest footprint on the market. We don’t transfer to a water or glycol solution like other geothermal systems, which results in higher installation and operational efficiencies and smaller and more versatile loop footprints with fewer system components than water based systems. EarthLinked offers nine different earth loop system configurations in horizontal, vertical and diagonal arrangements for the greatest flexibility. We have never experienced a field failure of a production earth loop due to corrosion. Our earth loops are made of copper unlike the plastic components used by other geothermal systems. Copper offers one of the best methods of transferring heat. Maximizing the efficiency of a geothermal system and requiring much smaller earth loops than plastic pipe alternatives. Earth loops are pre-assembled and pressure-tested in Lakeland, FL to assure the highest quality and promote easy installation. In most cases, earth loops using vertical or diagonal configurations are typically installed in one to two days. 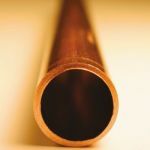 The longevity of copper is assured due to its natural resistance to corrosion. We offer a proprietary Earth Loop Protection System, an optimized version of the methods used to protect the metal hulls of ships, bridges, utility infrastructure and storage tanks underground. While the earth loop system acts like arteries in the human body, the heat pump is the heart. This component moves the refrigerant through the earth loops and throughout your home’s heating and cooling distribution system. EarthLinked developed a patented technique to better control the flow of the refrigerant without the need for controlling devices. Because the EarthLinked Geothermal Renewable Energy Systems don’t have water-circulating pumps, intermediate heat exchangers or thermostatic valves like other geothermal products, there are fewer components in the system’s design, creating a much more reliable, mechanically simple and far more efficient system. Within the EarthLinked heat pump is a uniquely-innovative, patented technique that enables control of the flow and stability of the refrigerant without any electronic devices, thereby further improving efficiency and reliability. The refrigerant is efficiently managed by two simple proprietary flow control devices: the Active Charge Control and Liquid Flow Control. These two mechanical controls respond directly to the temperature and velocity of refrigerant flow through the system. They modulate the amount of refrigerant in circulation to assure optimum efficiency at all times. By eliminating subcooling in the condenser, the system operates at lower refrigerant “head” pressures with increased mass flow. Which reduces energy consumption, increases heat transfer, system reliability and useful life. Please let us know if you have a product inquiry or need an introduction to an Authorized Dealer in your area.